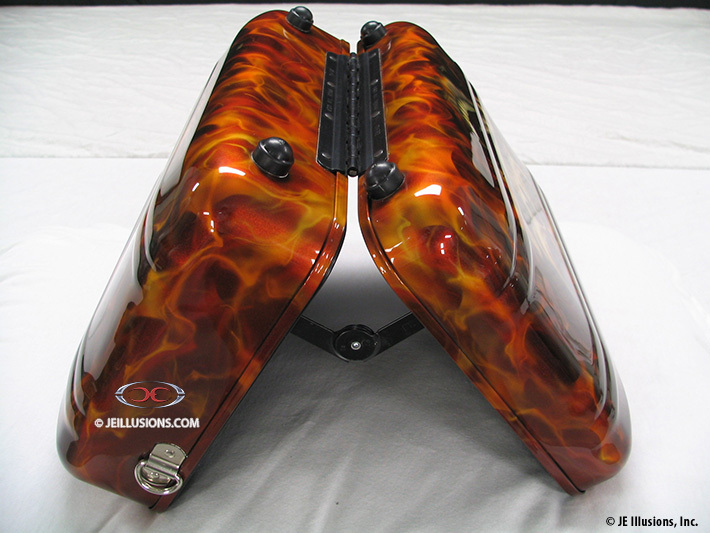 This design has kandy orange with gold metal flake as the under-base. 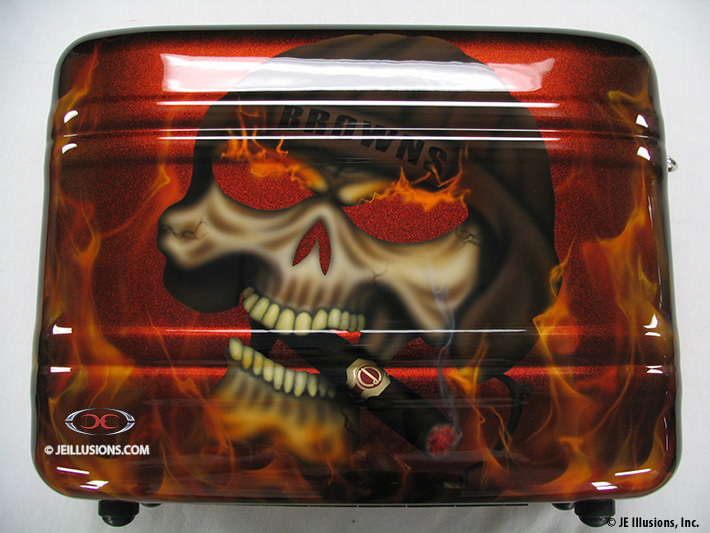 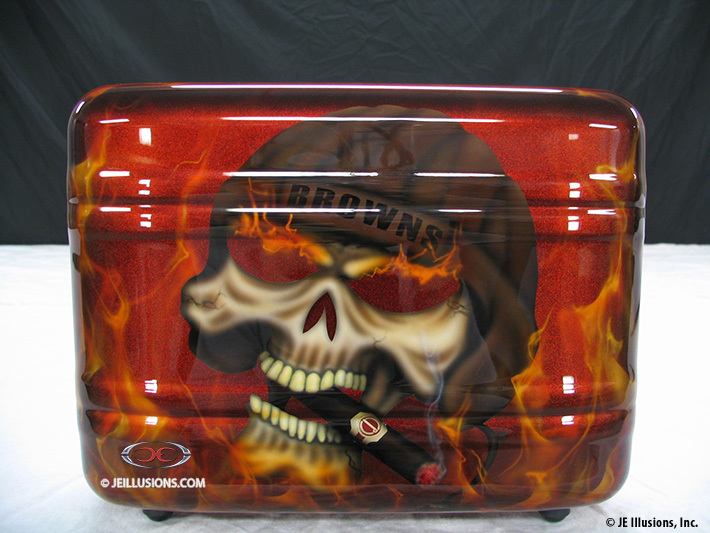 On each side of the box is a hand air-brushed skull, smoking a very good cigar, judging by the nicely detailed label on it, and wearing a vintage football helmet with the "Browns" lettering on the front. 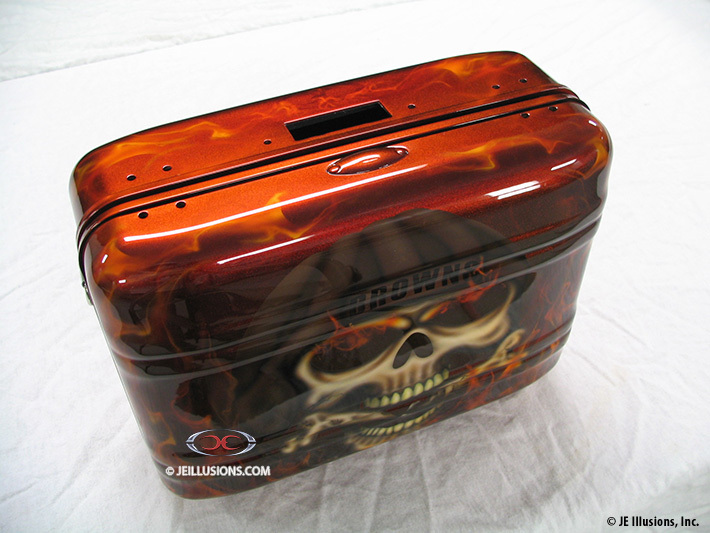 Our hand air-brushed realistic flames are coming out of the eye sockets and are also swirling all around the skull design and on top and bottom of the box as well.